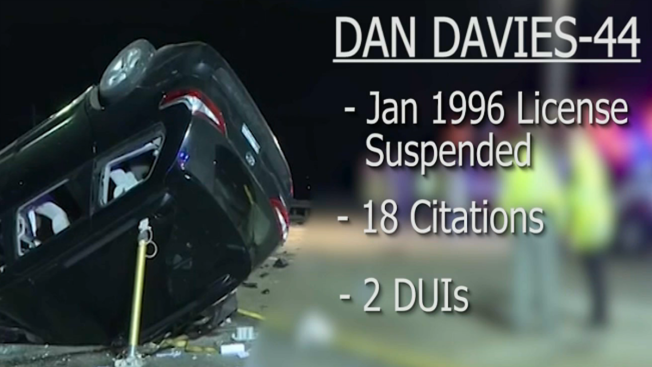 Dan Davies, the driver who police say rammed an Illinois State trooper’s squad car while driving the wrong way on the Tri-State tollway early Saturday morning, should not have been driving a car anywhere. After all, officials of the Illinois Secretary of State’s Office say they cannot find any evidence Davies ever got a driver’s license. Despite that fact, Davies was stopped by police dozens of times - receiving over 70 tickets - including repeated citations for driving without a license. Each time he was cited for having no license, a “suspension” was added to his record at the secretary of state’s office, which would make it more difficult for him to get a license, if he ever applied for one. He also was arrested twice for drunk driving. 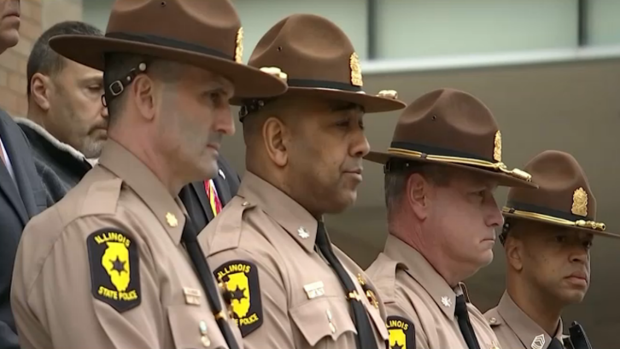 Investigators say Davies was driving the wrong way on the Tri-State tollway near Libertyville early Saturday, when he rammed a squad car driven by Trooper Gerald Ellis. Both were killed in the crash. Records obtained by NBC5 Investigates show that Davies’ first citation for driving without a license was in 1996. Since then, he had received 71 tickets during 25 traffic stops. The Secretary of State’s office had used every tool available to them, including placing him under revocation following his second DUI arrest last November. That would have required him to go to an administrative hearing if he ever wanted to obtain a license in Illinois. But it appears nothing was ever done by local authorities to stop Davies from getting back behind the wheel. That didn’t happen. After his November drunk driving arrest, Davies’ case was eventually transferred to Cook County Criminal Court, where he faced multiple charges of aggravated DUI. But in that case, he was granted a $3000 I-bond, meaning he had to post no cash, and he was never jailed - despite what authorities say was one of the worst driving records in the state of Illinois. And remember – he had no license in the first place. A spokesman for Cook County State’s Attorney Kim Foxx did not respond to NBC5 Investigates’ repeated inquiries about what position prosecutors took to try to keep Davies in custody. Davies was no stranger to the Cook County Criminal Court. NBC 5 Investigates has learned that since he was a teenager, in addition to his dozens of traffic stops, he also was charged in 22 additional criminal cases... where he faced repeated charges of criminal damage to property, assault and battery - including battery on a police officer and domestic battery - drug-dealing, and drug possession. Davies was found guilty in seven of those cases, but served a total of only 53 total days in jail – less than two months, including a sentence of just ten days for a conviction stemming from his first DUI arrest in 2010.